The TanHuai records (覃怀志) are historical local records dating back from the 7th year of the YongZheng (雍正) Emperor (i.e. 1728), that gather various information (geography, history, economy, etc.) of the formerly called TanHuai county of Henan province， an area located now in the JiaoZuo (焦作) prefecture of Henan. Starting from the year 2000, several pseudo-historical publications have come out that have related the origin of BajiQuan to the YueShan (岳山, or 月山) temple located in Bohai county of JiaoZuo prefecture. According to these publications, the founder of BajiQuan would be the abbot CangGong (苍公) who resided in the temple during the 12th century, and would have created BajiQuan during his seclusion in the temple. Here and there, some quotes from the TanHuai records saying that "CangGong created BajiQuan" are frequently cited in order to bring evidence supporting this hypothesis. As one can see, the original records do not mention anything relating CangGong to BajiQuan. 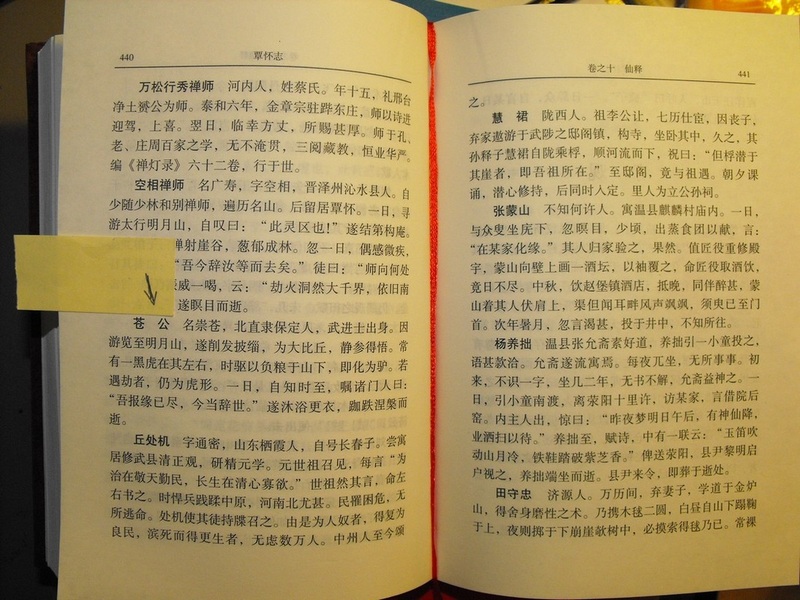 Apart from this paragraph, the records contain a few lines giving some historical details about when the temple was built, and there are a few poems about the temple and one about CangGong's cave, but in these sections there is again no mention of BajiQuan. Moreover, the whole records do not mention any martial art activity of any kind related to YueShan temple or to CangGong.